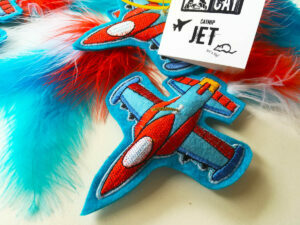 Adorable felt bats with 5-star catnip, feather, loop and cord. 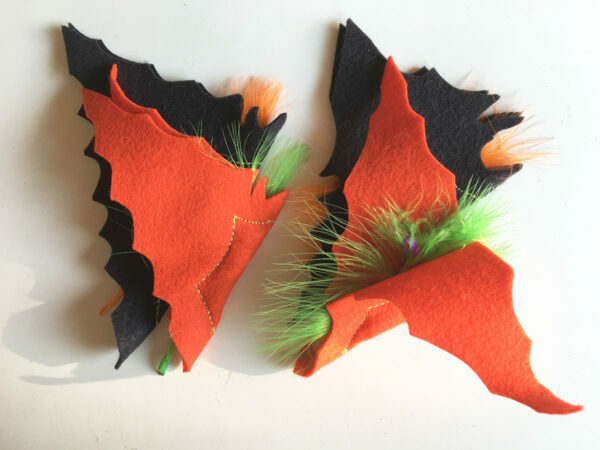 Now in orange and black! 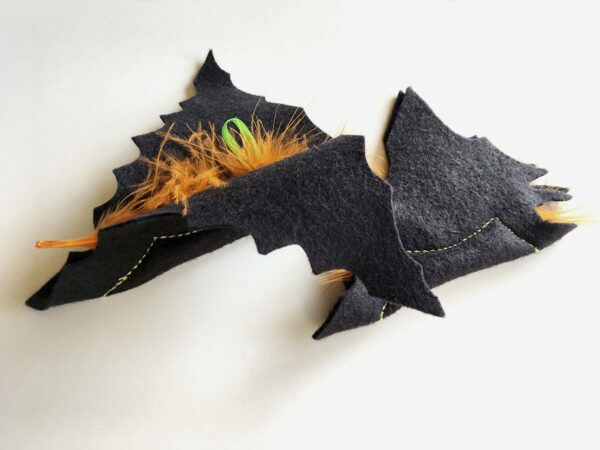 Add a wand for extra fun. 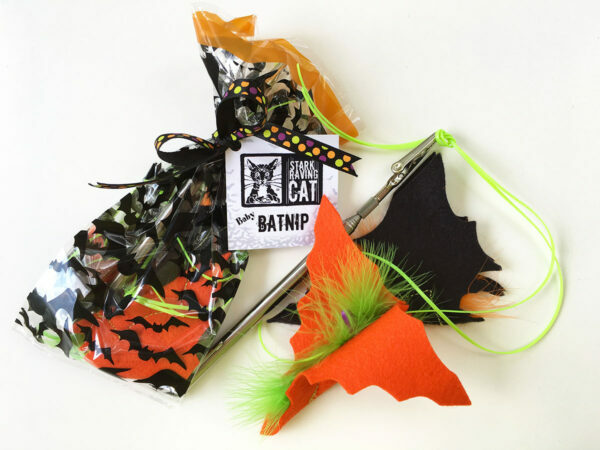 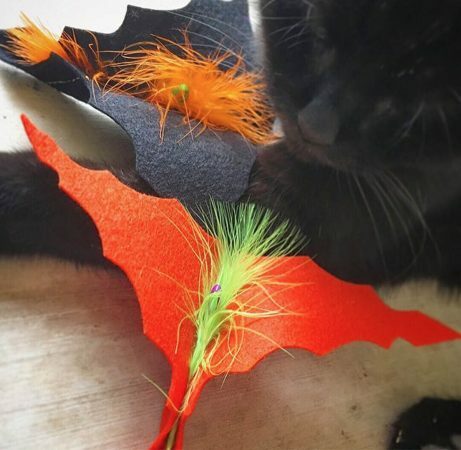 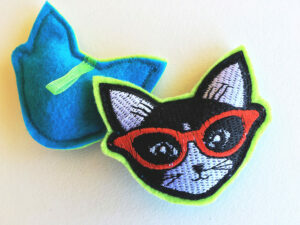 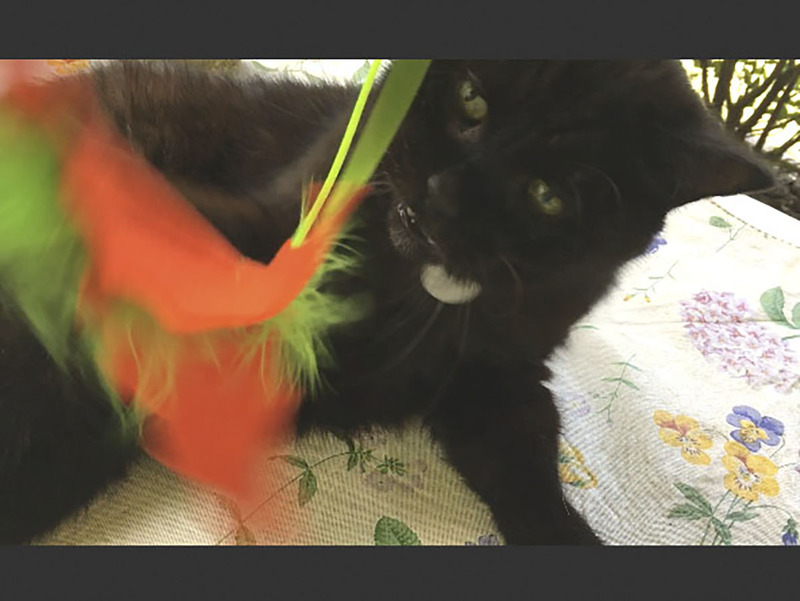 Trick or Treat: Swing the Batnip on its cord and watch your cat do tricks! 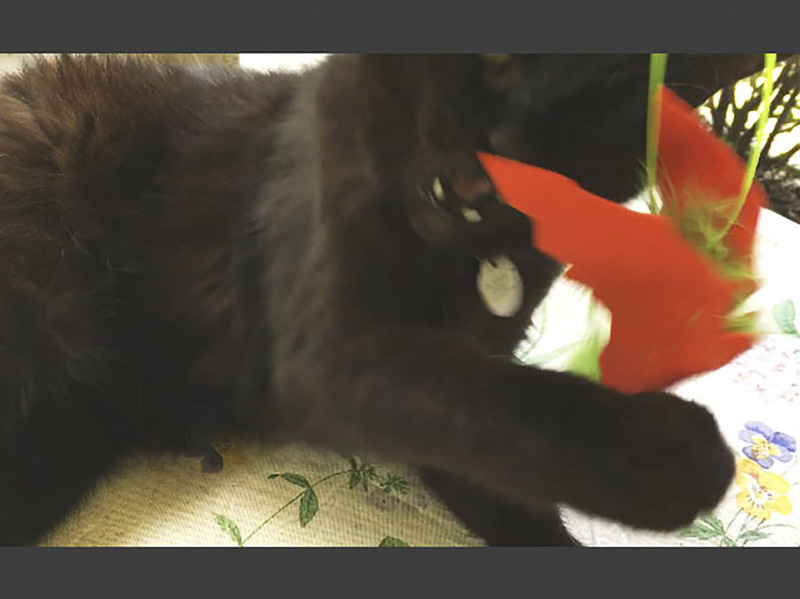 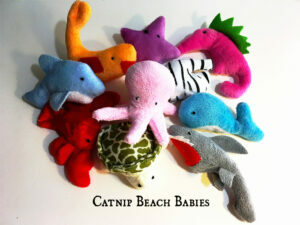 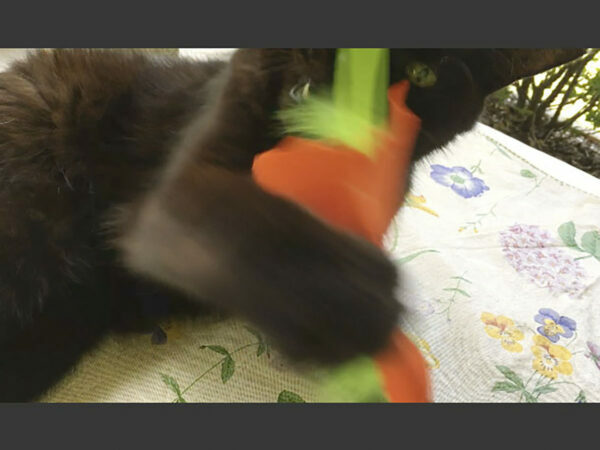 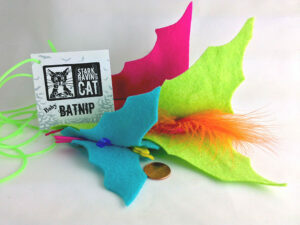 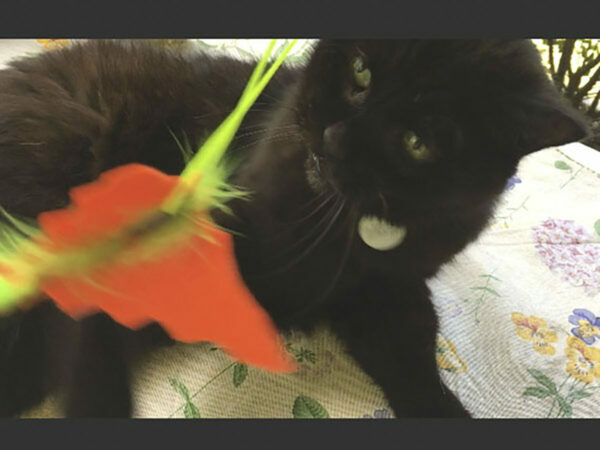 Each Baby Batnip is handmade with densely packed, pure, premium catnip – no fillers or stuffing. 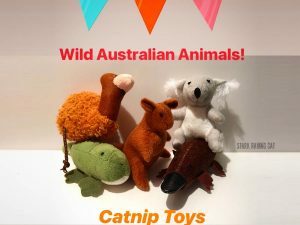 (Check the 5-star reviews of our Catnip Joints to see how potent it is; cats have ripped open the mailers to get to our toys). Halloween Wand & Batnip Gift Set: Best deal! Our Halloween Batnip Gift Set includes one of our Telescoping Wands with clip – it extends 32 inches and turns any toy into a wand toy – and a pair of Baby Batnips (orange and black), with 3-foot cord. 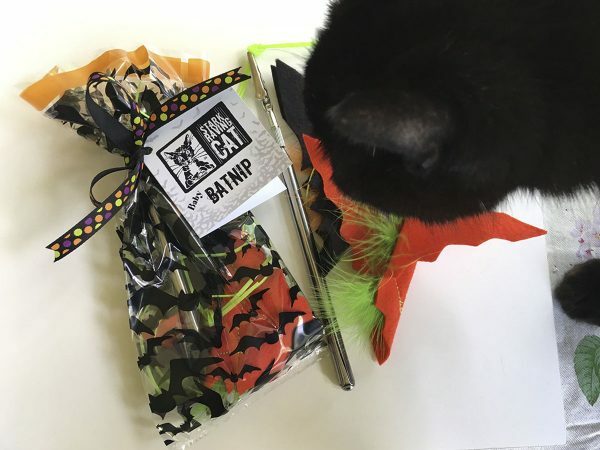 The festive batty bag, ribbon and gift card make this Trick-or-Treat ready! 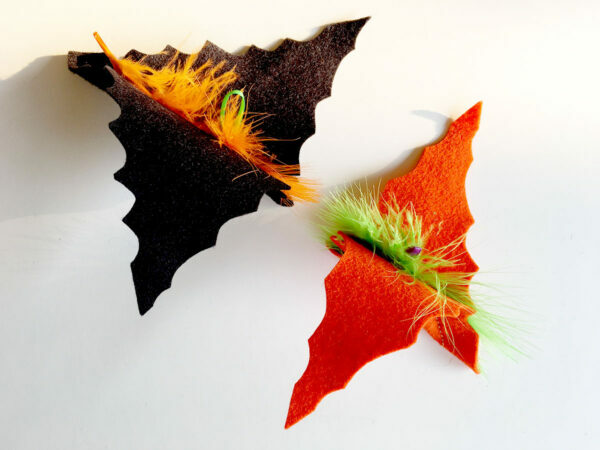 Includes 2 Baby Batnips (1 orange, 1 black), 2-foot cord and gift tag. 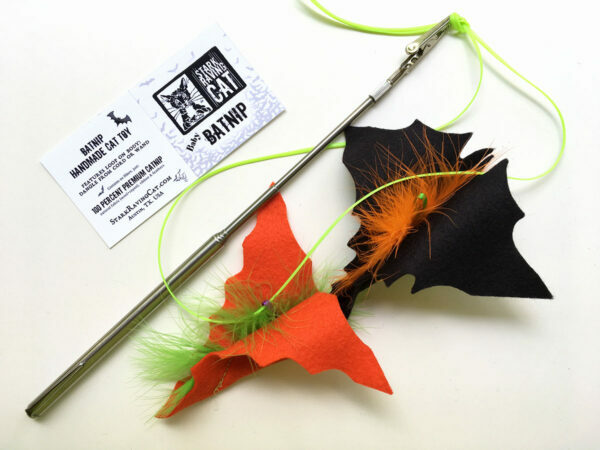 Includes Telescoping Wand with Clip, 2 Baby Batnips (1 orange, 1 black), 2-foot cord, batty gift bag with ribbon, and gift card.